Pneumonia is a lung infection. Many germs, such as bacteria, viruses and fungi can cause pneumonia. It is spread via coughing, sneezing, touching or even breathing, and those who don’t exhibit symptoms can also spread the illness. You can also get pneumonia by inhaling a liquid or chemical. You can get pneumonia in your daily life, such as at school or work. This is called community-associated pneumonia. You can also get it when you are in a hospital or nursing home. This is called healthcare-associated pneumonia. People most at risk are older than 65 or younger than five, or those who already have other chronic illnesses. You may cough, run a fever and have difficulty breathing. For most people, pneumonia can be treated at home. It often clears up in two to three weeks. But older adults, babies and people with other diseases can become very ill. They may need to be hospitalised. Treatment depends on what kind you have. If bacteria are the cause, antibiotics should help. If you have viral pneumonia, your doctor may prescribe an antiviral medicine to treat it. Preventing pneumonia is always better than treating it. Vaccines are available to prevent pneumococcal pneumonia and influenza. Other preventive measures include covering your mouth when you cough, washing your hands frequently and not smoking. A cough with phlegm that doesn’t improve or gets worse. Shortness of breath with normal daily activities. Feeling worse after a cold or the flu. Pneumonia usually starts when you breathe the germs into your lungs. You may be more likely to get the disease after having a cold or the flu. This makes it hard for your lungs to fight infection, so it is easier to get pneumonia. Having a long-term or chronic, disease like asthma, heart disease, cancer or diabetes also makes you more likely to get pneumonia. Pneumonia is not a single disease and can have more than 30 different causes. Understanding the cause of pneumonia is important because pneumonia treatment depends on its cause. Many different germs and other things can cause pneumonia. Other infectious agents, such as fungi – including pneumocystis. Approximately one-third of the pneumonia cases each year are caused by viruses. These viruses are the most common cause of pneumonia in children and young adults. The influenza virus is a common cause of viral pneumonia in adults. Other viruses that cause pneumonia include respiratory syncytial virus (RSV), rhinovirus, herpes simplex virus, severe acute respiratory syndrome (Sars) virus, and more. Bacterial pneumonia can attack anyone, at any age. It can occur on its own or develop after you have had a cold or the flu. 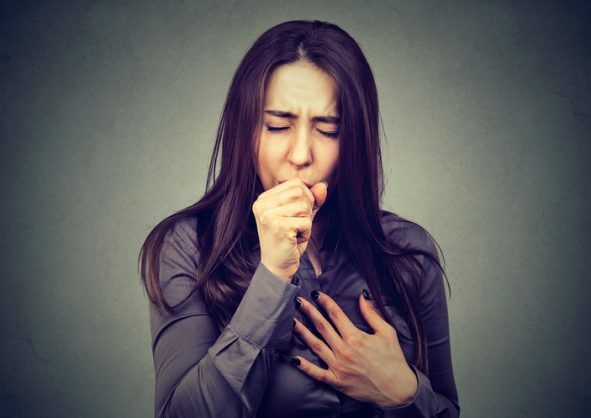 People at greatest risk for bacterial pneumonia include people recovering from surgery, people with respiratory diseases or viral infections and people who have weakened immune systems. Most respiratory viruses attack the upper respiratory tract, but some cause pneumonia, especially in children. Most of these pneumonias are not serious and last a short time but others can be severe. Viral pneumonia caused by the influenza virus may be severe and sometimes fatal. The virus invades the lungs and multiplies. However, there are almost no physical signs of lung tissue becoming filled with fluid. This pneumonia is most serious in people who have pre-existing heart or lung disease and pregnant women. In extreme cases, the patient has a desperate need for air and extreme breathlessness. Viral pneumonias may be complicated by an invasion of bacteria, with all the typical symptoms of bacterial pneumonia. Mycoplasmas are the smallest free-living agents of disease in humankind. They are not classified as to whether they are bacteria or viruses. Mycoplasma usually cause a mild form of pneumonia, but may be severe with certain symptoms lasting a long time. They affect all age groups, but occur most often in older children and young adults. • Tuberculosis (TB) rarely can cause pneumonia (tuberculosis pneumonia). It is a very serious lung infection and extremely dangerous unless treated early. • Pneumocystis jiroveci pneumonia, which is caused by a fungus, is sometimes seen in people whose immune system is impaired (due to HIV infection or certain medications that suppress the immune system). • Other less common pneumonias may be serious and occur more often. Various special pneumonias are caused by the inhalation of food, liquid, gases or dust. Older adults may have different, fewer, or milder symptoms. They may not have a fever. Or they may have a cough but not bring up mucus. The main sign of pneumonia in older adults may be confusion or delirium. If pneumonia is caused by bacteria, your doctor will give you antibiotics. These almost always cure pneumonia caused by bacteria. Be sure to take the antibiotics exactly as instructed. Do not stop taking them just because you feel better.